First, they came to Facebook. Now, autoplaying video ads are coming to Twitter, too. According to AdAge, the network began rolling out promoted videos on Monday that automatically play when viewed in the iPhone and iPad version of the app. “We’re running a small test on a few variations on the video playback experience,” Twitter confirmed in a statement. 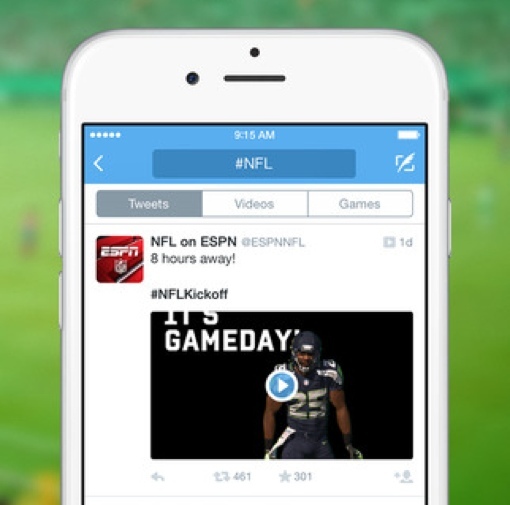 As AdAge explains, two different types of video ads are being presented to Twitter users. Some people will see full-length promoted videos that play in a loop; others will see a 6-second autoplaying preview of a larger ad. Both will be muted, unless you decide to click to play the content in full-screen mode. In 2013, competing social network Facebook began testing auto-playing videos in its users’ news feeds. Videos download when a device is connected to a Wi-Fi network and are saved until you scroll by them using the Facebook mobile app. It’s estimated that Facebook now racks up about 3 billion video views per day, with companies paying as much $2 million for the privilege of running three 15-second ads on the network. Facebook-owned Instagram, meanwhile, began hosting auto-playing video ads late in 2014. To learn more about the Twitter social network, check out our Twitter 101 primer.